The ZEISS Vario-Sonnar T* 24-200mm f/2.8-4.5 lens is configured to achieve maximum resolution and clarity across the entire zoom range. It provides remarkable telephoto capability within a pocket-sized package, to vastly expand your range of creative expression. 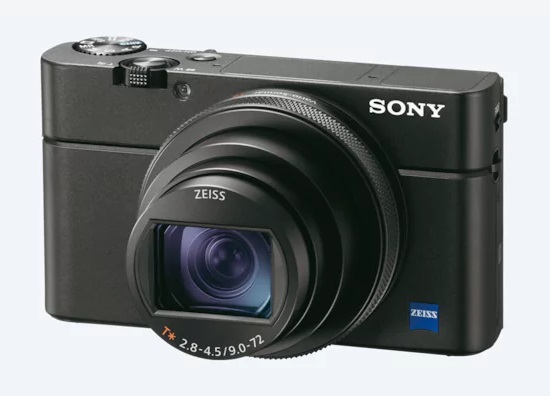 The RX100M6 inherits the α9 AF algorithm and is able to acquire focus in 0.03 seconds. It also comes packed with 315 phase-detect AF points covering 65% of the frame, to deliver class leading AF accuracy and tracking. The RX100M6 features a 2.35 million dot one-push electronic viewfinder to help compose your images with precision. It also offers a touch focus/shutter LCD monitor that tilts 180° upwards and 90° downward, perfect for vlogging and selfies.